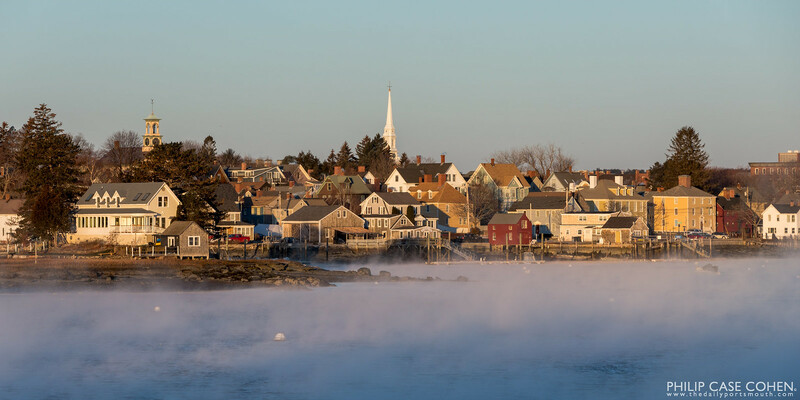 The Piscataqua River is coated in a light fog in the early morning cold in a scene of the South End of Portsmouth. 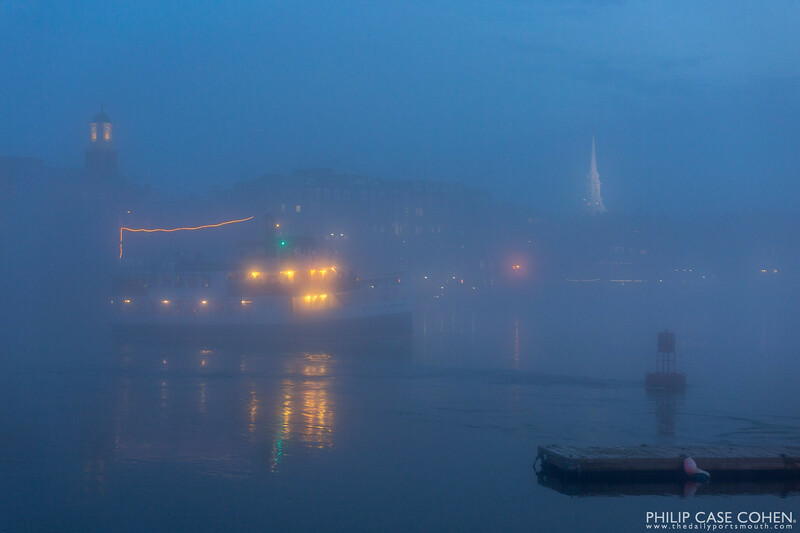 The Isles of Shoals Steamship Company’s Thomas Laighton and its eerie lighting heads home amidst a thick evening fog. 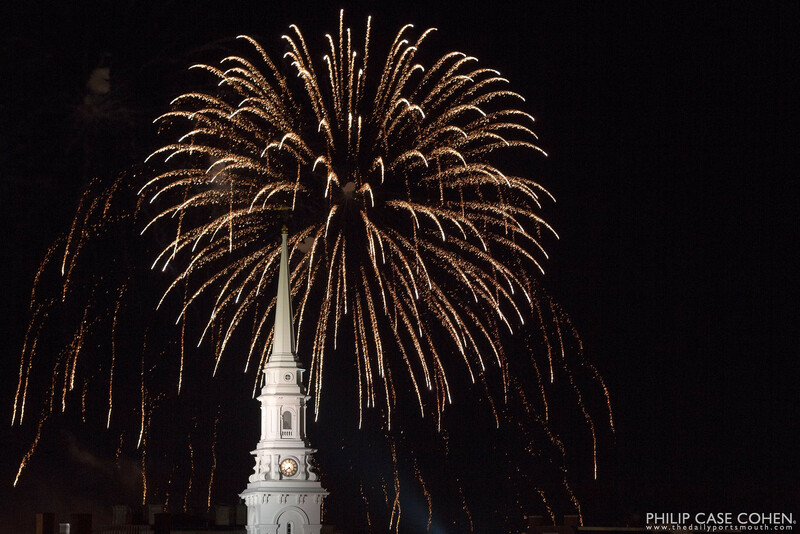 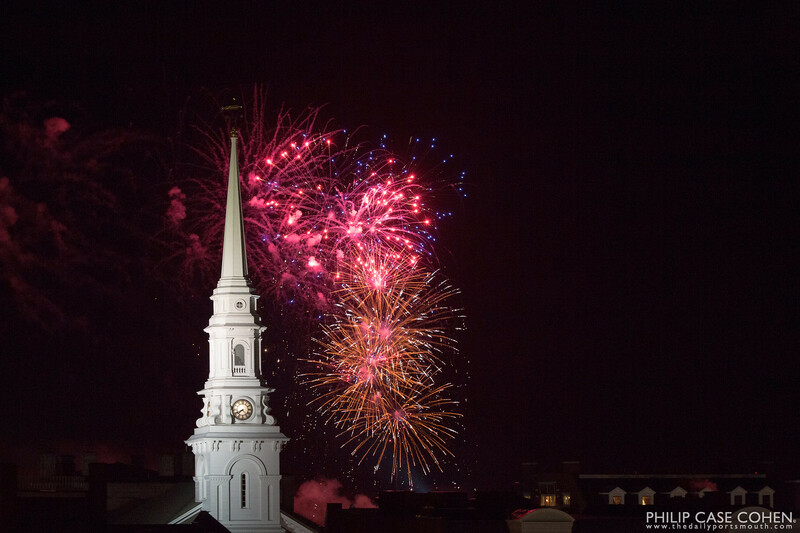 Portsmouth’s First Night celebrations included the annual fireworks display. 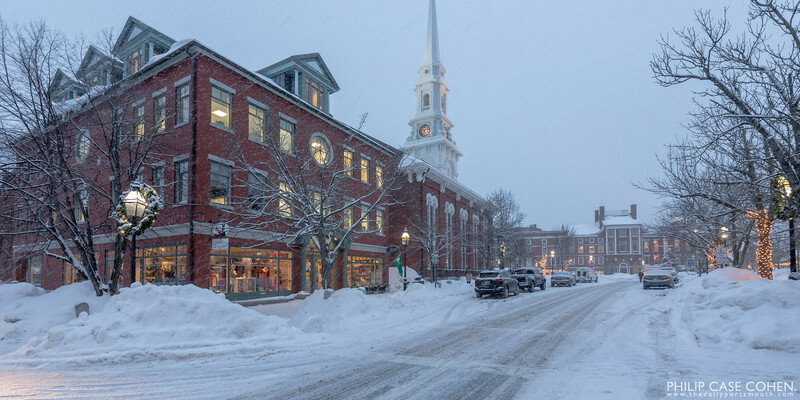 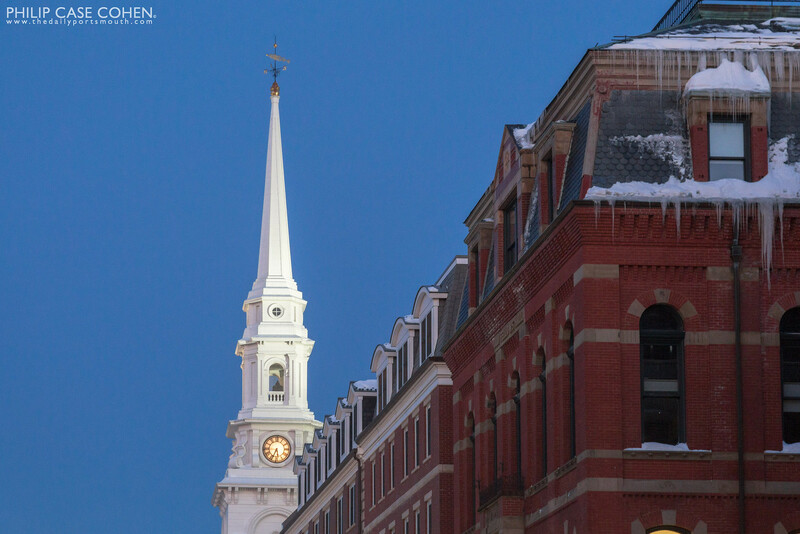 It was a brisk and perfect winter evening and a great way to usher in the new year. 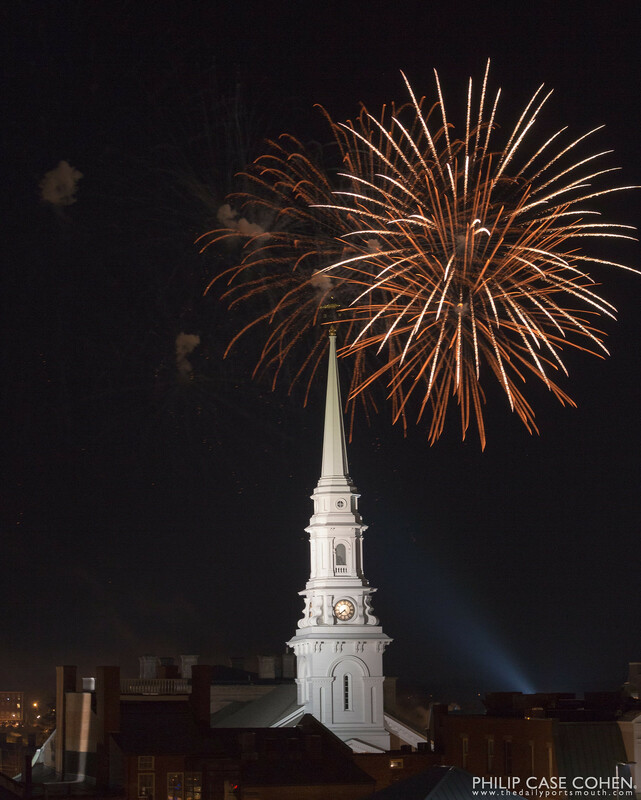 Thank you for your support and for your encouragement in 2014 – my goal for 2015 is to get out more frequently and to capture more of the changing face of Portsmouth. 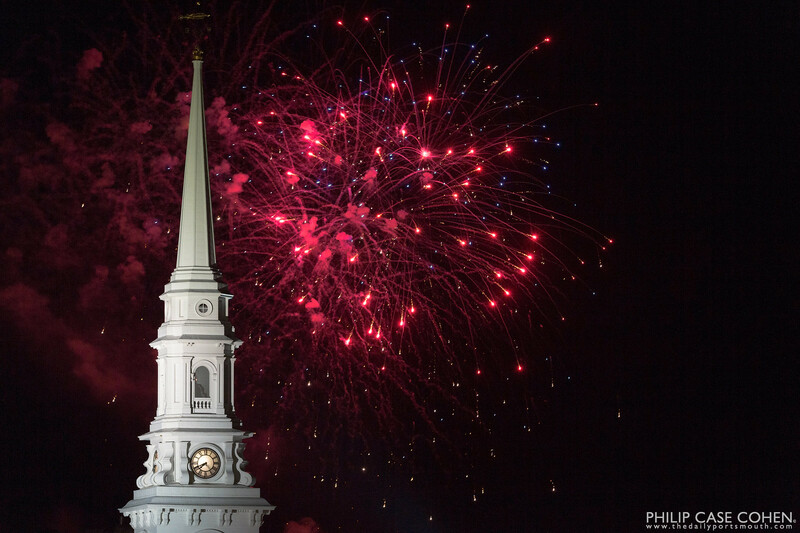 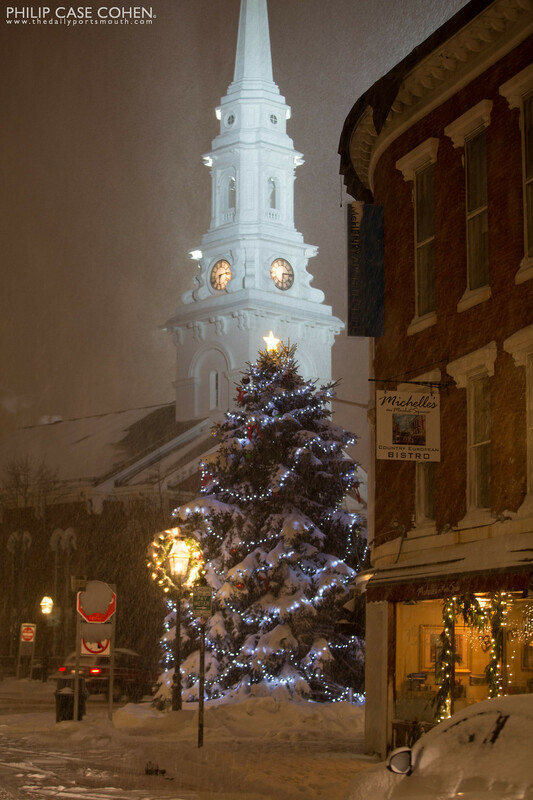 I hope you join me in the new year’s new photo adventures…Happy New Year! 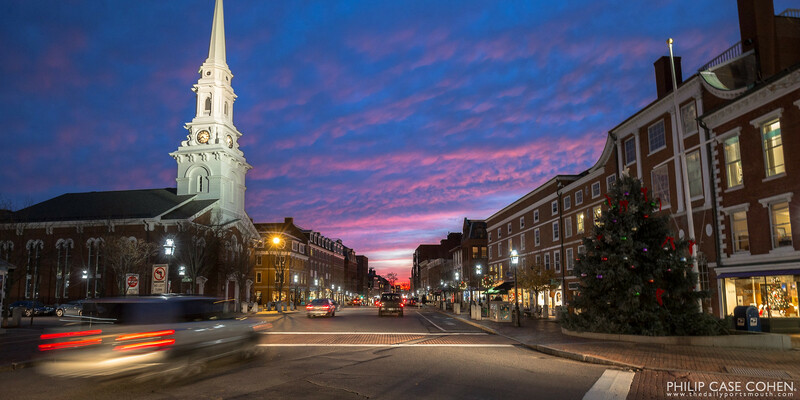 This was an incredible surprise on the eve of 2014’s first major snowstorm (according to the forecast) – a warm red sky with the bottom of the clouds kissed by the setting sun as the downtown lights began to brighten.